When working specifically with the heart, a small-detector cath lab is the way to go. These detectors are 8” x 8” (or in that neighborhood) in size. This detector size can image the whole heart and, coupled with the zoom capabilities that come standard on these labs, provide outstanding visualization of cardiac structures and anatomy. "That’s great", you say, "but which specific cath lab models will fit my EP needs?" We're glad you asked! If your facility is set up for a ceiling-mounted system, or there is a strong desire from your physician for a ceiling-mounted system, it's our opinion that the Philips Allura XPER FD 10 lab is the best choice. 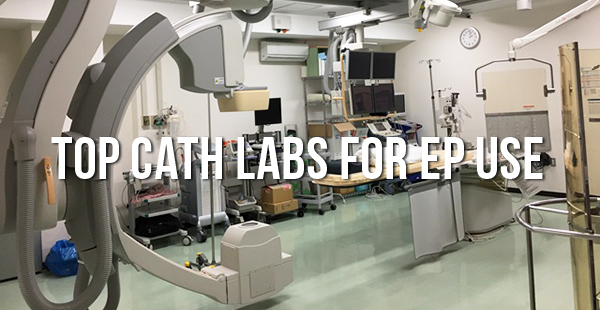 The Allura XPER labs are extremely reputable among the thousands of cath lab buyers and users we've served, and Philips has been making them since the early 2000’s. Alluras were only just recently replaced by Philips' new Azurion series of labs, built off the success of the XPER line. If, however, a floor-mounted cath lab is required or preferred, the GE Innova 2100 IQ lab is the lab of choice. Like Philips with the the FD 10, GE has been making these systems in one form or another for a very long time. The heart of these systems - the table and the gantry - are such a proven design that they’ve been used on every GE cath system since the 90’s, with updates, largely, to only the tables to accommodate the ever-advancing procedures performed in the interventional lab setting. So, we've made two recommendations for those of you looking for your next EP lab: Buy a system with a smaller detector, and check out a GE or a Philips system. But are there any exceptions to these recommendations? Kind of. Could you use a system with a larger detector for EP work? Yes, but it would be far from optimal. Smaller detectors are better suited to the steeper angles and image/zoom abilities EP work often demands. 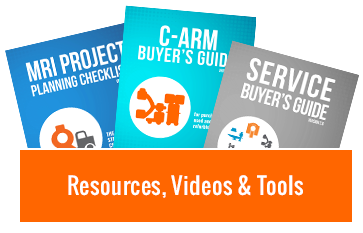 Can you purchase a system from a manufacturer other than GE or Philips? Absolutely. There are cath lab options from Siemens that fall in the same range of capabilities. However, when we speak with users about the labs they prefer to use for EP, GE and Philips are the manufacturers we hear about most often. Electrophysiology is a field with its own unique demands on interventional equipment. Preferences may come into play in terms of manufacturer, model, or positioner mounting, but EP users will always be best served by smaller, cardiac-oriented detector sizes. If you have other questions about outfitting your facility for EP, our team is ready to help. Call us, or use the button below to ask questions and request a quote. Kenn Dextrom is the Interventional Radiology Product Manager at Block Imaging. His aim is to provide clear direction and careful planning to make each customer’s project as seamless as possible. Out of the office, he spends most of his time keeping up with his wife and their three energetic sons.